There are a number of essential needs in our life. We are in any problem of body; we must need a doctor for the essential treatment. Hospitals and Clinics are providing the emergency treatment services when we needed any instant treatment. With the doctors and treatment facility, it also provides the basic accommodation facility only for their patients those who are admitted in the hospitals or clinics. Most of the Hospitals or clinics those are located in the city or town area, they are able to use the modern technology which can facilitate the treatment therapy. Most of the doctors are always available there with the nurse and supporting staffs. 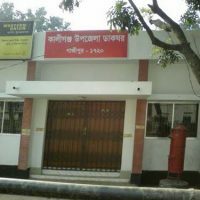 Hospital in Bangladesh provides the medicines which are needed for the patient also. In the entire world, a huge number of Hospitals and Clinics are around each of the community. Comfort Nursing Home (P) Ltd.